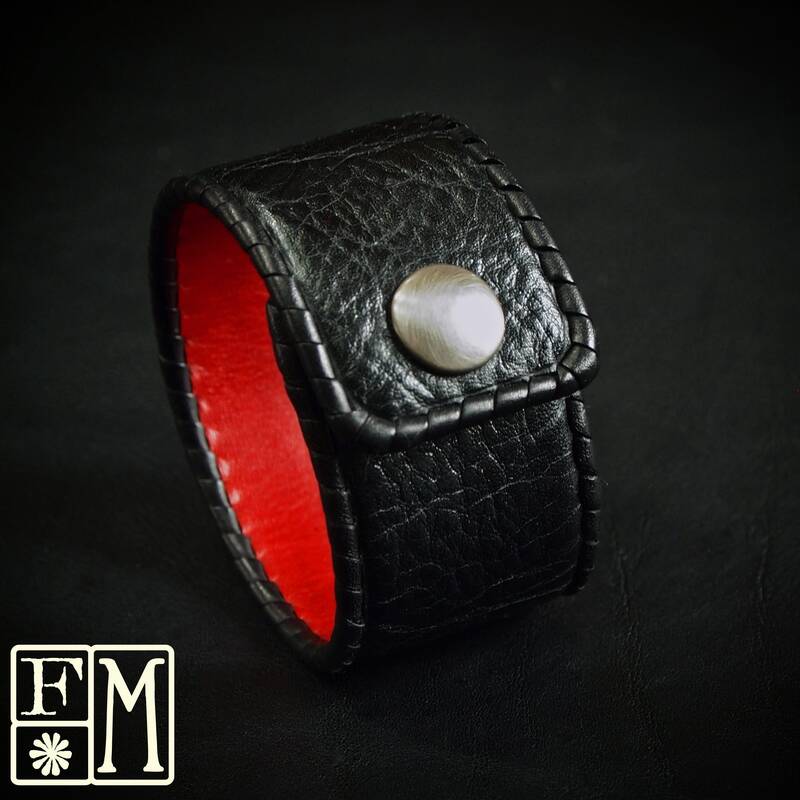 Black Leather cuff bracelet : Red soft leather lining and Black cowhide. Hand Laced, made in New York! 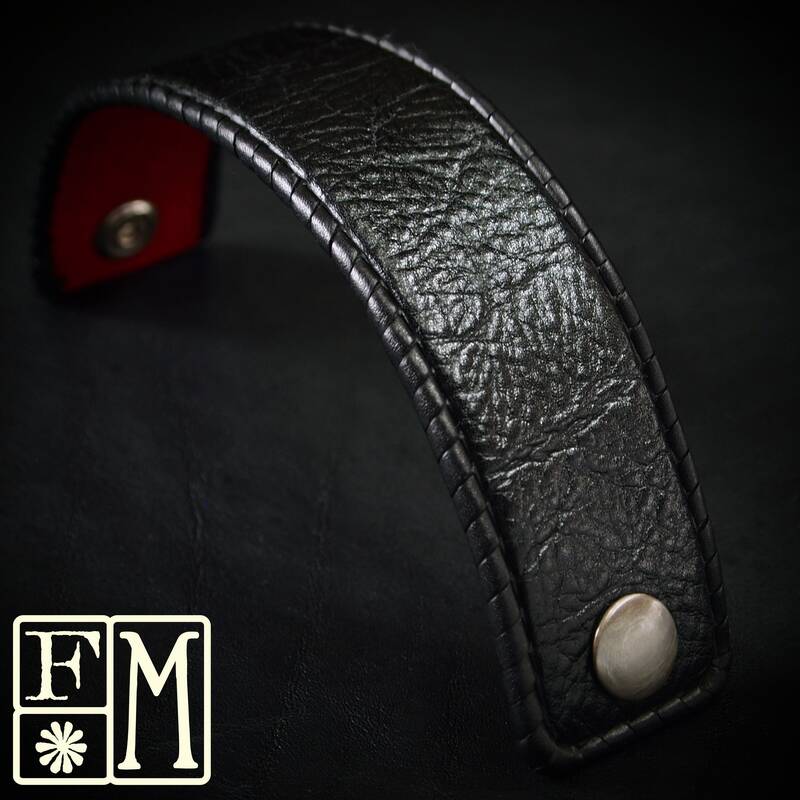 This 1.5" wide leather cuff bracelet in black milled cowhide is super soft and has a pronounced top grain. It's lined in red calf and the edges are whipstitched in black leather kangaroo lace. A hand distressed nickel snap provides the closure! 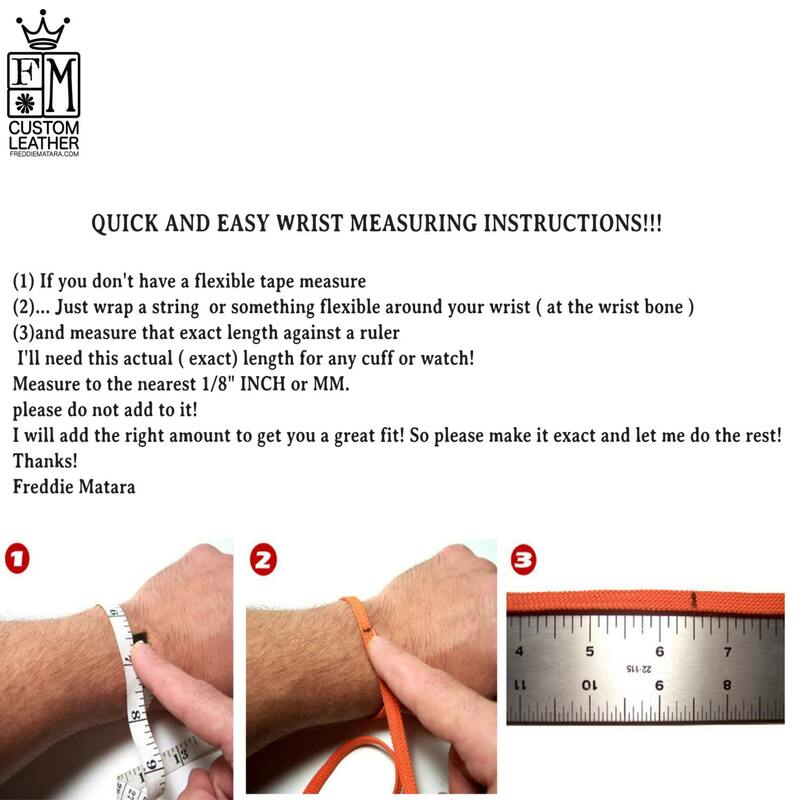 A rich style for any wrist! Thanks for checking out my work! 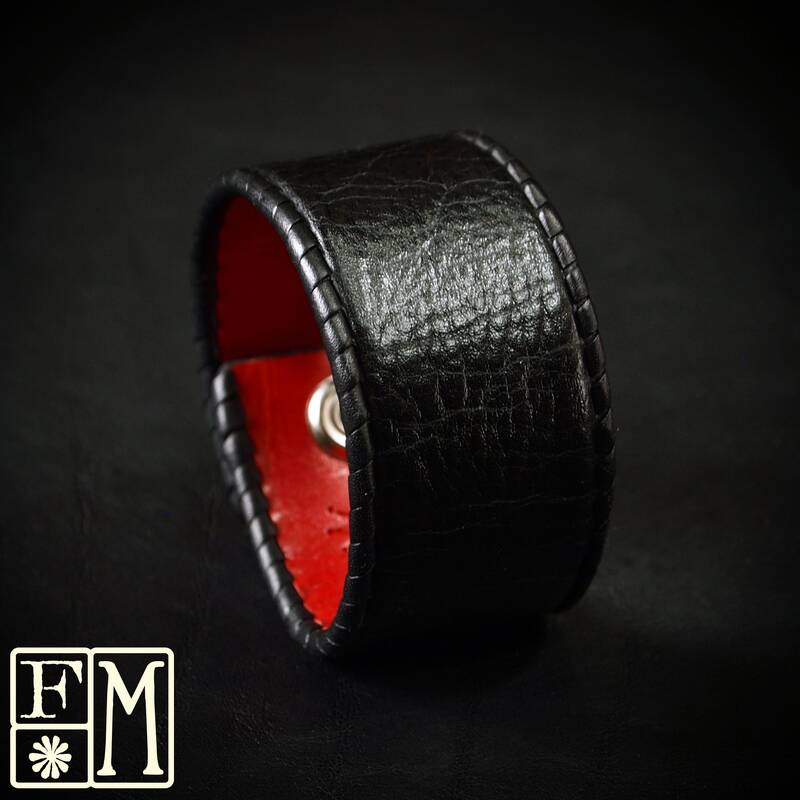 I use a fine hand in my work, bridging the gap between craft and art and truly love making You quality Leather wristwear.